Stop number three on the Kansas burger tour – heading back from Winfield home – we drove back to Wichita to fly home. Nuway Cafe was the second of our pre-determined stop. 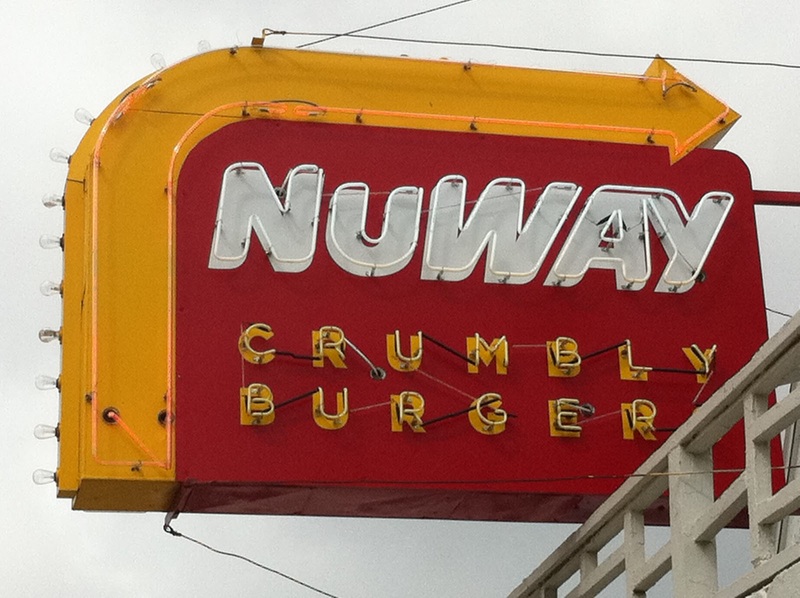 I read about the crumbly burgers in the “burger bible” and was intrigued. 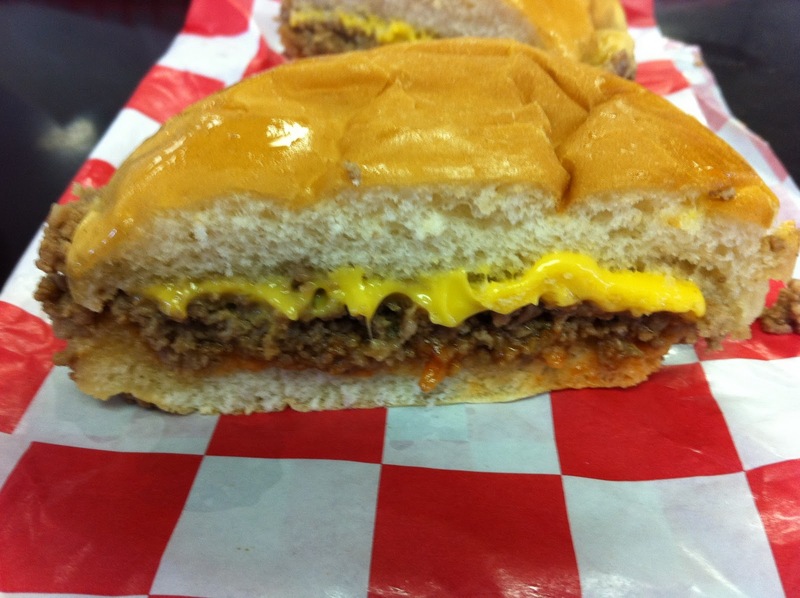 Back in the 1930s, the founder left Iowa with a new way of making burgers looking for a warmer climate. He stopped in Wichita. So, at Nuway, the burgers are made of “loose meat” as opposed to being formed into a patty. Imagine a sloppy joe without the sauce. Or, as a friend said when I told him about them, “sounds like the old Taco Bell burger” – anybody remember those? 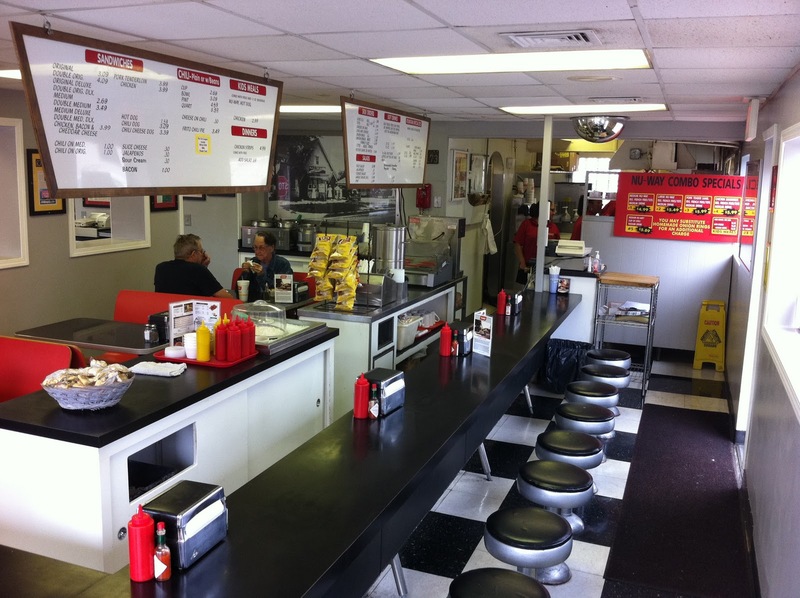 As you walk in the side door, you’re face-to-face with the counter, one side lined with stools, the other with booths. There has also been a room added-on to the left of the counter area, with additional booth seating. There are five locations in Wichita, we chose the refurbished original. On to the crumbly. On Sundays the original crumbly is half-price, so that’s what I went with. It looked pretty good, but was actually only fair. Jo agreed, but said the home-made onion rings made up for the bad burger. I had chili-cheese tater tots. Whenever there are tots on the menu, I let the fries pass by. I found those mediocre as well. 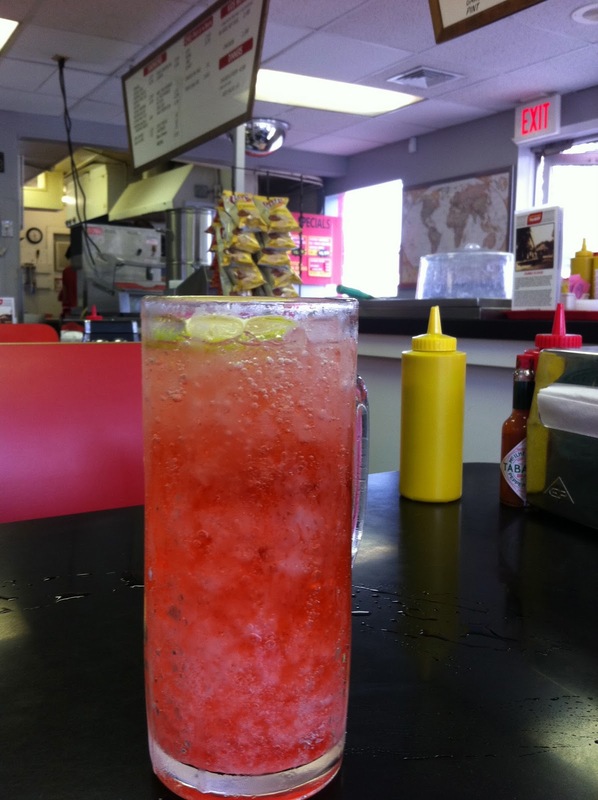 The saving grace for me at Nuway was the cherry limeade. Made to order and quite refreshing.